Good news for heavy SMS users! Now you can send SMS to any mobile in the world for free of cost. JaxtrSMS first time came with mobile App which supports all mobile platforms and tablets. 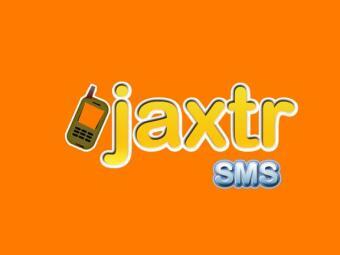 JaxtrSMS was the latest innovation by Sabeer Bhatia, creator of Hotmail. He said that JaxtrSMS, would do "to SMS what Hotmail did for e-mail". The idea was born when his wife wants to switch from iPhone to BlackBerry. After he asked her for the reason, she replied in BlackBerry I can text to my sister using BBM for free of cost. The best thing with this SMS app was, if the receiver have also JaxtrSMS app installed on his device he can view SMSs in threaded format, otherwise the SMS will goto default SMS inbox. So no need of dependency on the application. In short, you can send SMS to any device whether the receiver has installed the JaxtrSMS application in his device or not. JaxtrSMS app runs on Advertisement basis and can be installed on any mobile phone which runs on BlackBerry, iOS, Android, Windows mobile, Java, Symbian and Nokia with a data plan activated on your mobile. You can send text message to the user whether he is a JaxtrSMS user or not. Easily integrate with your Address book. Works on WiFi and 3G for all mobile devices and tablets. Send text message to national & international number. You can use your own phone number. Instant delivery of your message. To use JaxtrSMS you should have data plan activated in your mobile phone. Get JaxtrSMS free application to your mobile. by Sabse technologies Inc. Tags: JaxtrSMS Application, How to use JaxtrSMS application, Download JaxtrSMS application for BlackBerry OS, iOS, Android, Windows mobile, Java, Symbian and Nokia, Jaxtr SMS, about Sabeer Bhatia, Hotmail, JaxtrSMS app free download, for tablets, mobiles, free SMS apps, Apps for SMS, How to send free SMS, Free SMS to any mobile in India, World, USA, mobile applications, Jaxtr Ads, How it works, download JaxtrSMS App, Advantages of JaxtrSMS App with others. I download the app, try to send domestic text, but it's not working? Can anyone helps?